This week I am officially off on Spring Break and of course I plan to do some shopping with my time off. The nice thing is that with the Shopbop Friends and Family Sale I don't even have to leave my house to get amazing deals on some of my favorite brands! If you are a registered Shopbop customer, you can get a sneak peek today, Monday April 4th to get first dibs on some new items for spring. The sale is officially open to everyone on Tuesday, April 5th. Either way, use the code INTHEFAM to get 25% off your purchase for the next couple days to reap the benefits of the sale. 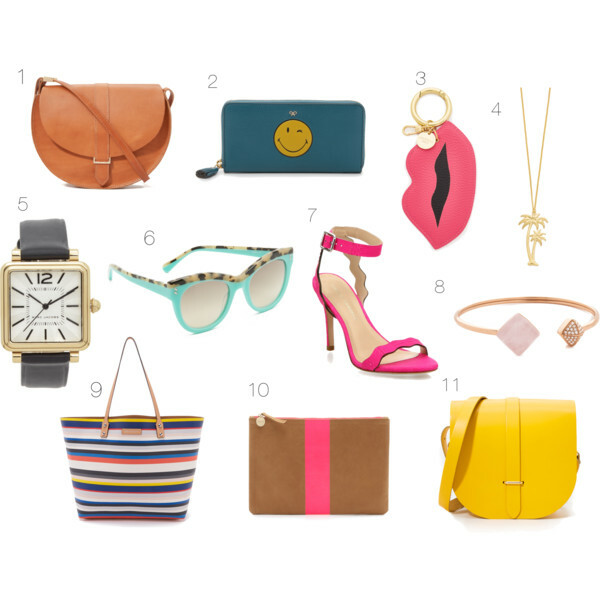 Below I have included some items I am coveting for spring. Most likely, I will be in my pajamas watching The Price is Right and trying to decide what to purchase. A week where my biggest problem is trying to decide what to buy at Shopbop? Why can't every week be this awesome? I love flat clucth! So cute!